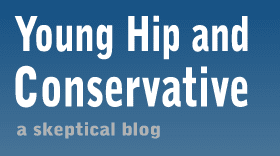 Young, Hip and Conservative: a skeptical blog: Are you sure you're opposed to Citizen's United? After yesterday's overindulgence of anti-SOPA Internet blanketing, I can't help but notice that a large swathe of people I know went from posting passionate defenses of freedom of speech on Wednesday to a Thursday of cries to allow the government censor speech by amending the Constitution to overturn Citizens United. Yes, SOPA would have been a problem if passed. I fully support measures to stop piracy, but not by giving government officials powers beyond due process and trusting them to only use it fairly. This always, always, leads to abuse. Yet those same people are upset about a court case that allows groups of people to broadcast criticisms of politicians around election time. Actually, they're not really upset by that because most of them don't understand that's what Citizen's United is. They assume it allows big businesses to spend unlimited amounts on political lobbying, which is not true. I've never kept it a secret that I support corporate personhood, but that isn't what the case is about. The Citizens United case didn't just free the speech of for-profit businesses, it also applied to organizations like the ACLU, labor unions and media companies. These people aren't actually against the case they say they're against. They are, in fact, against a different issue and have allowed themselves to follow a fad without doing any real research. But let me take the activists on at their true point. I'll disregard their intellectual sloppiness and engage them on their central issue: should we trust the government to put a cap on how much speech a private corporation can make? You can not claim to be a champion of free speech one day and then call for restrictions the very next day hoping to silence organizations you don't like. Most of the anti-Citizens United activists are grossly ignorant about the most basic details of the case. If instead of a movie about a politician, Citizens United had written a book, would you allow the government to seize all the copies and burn it? BONUS: As I was searching for the Popehat link about the New Jersey Department of Public Affairs claimed national security when it locked up the details on a barn it was building to house road salt, I came across a post that makes a better argument than mine. Ken gives a roundhouse punch when he says that it was corporate speech from Google, Wikimedia and Reddit that made the SOPA protest so big. Do these same people think those websites should have been censored from weighing in on proposed anti-piracy legislation? How much speech should they have been allowed to have? Citizens United is about allowing the government to regulate business, something it is perfectly allowed to do. SOPA is about allowing businesses to stymie the speech of the small guy. The latter reminds me of SLAPP lawsuits without the hassle of due process. "The issue at stake in the case was whether, consistent with the First Amendment, the government could criminalize speech that criticized a public official who was also a candidate for elective office, 60 days before a general election and 30 days before a primary." You have confused corporations with businesses. If you aren't prepared to make an honest effort to understand this issue, why should anyone value your opinion? Citizens United is a load of bull. When corporate charters first began you could only get one for 10-20 years from congress, and creating one was as difficult as passing a law in congress. You had to prove a need beyond that which was supplied already by government and other charters. And if you were found breaking the law, the charter was terminated. The use of 'personhood' was only a convienent speech tool to allow lawyers to speak of entities as beholden to contracts or to sue and be sued. Now you can get one for small fee from the State Department. CU only passed after they beat on the courts long enought and hard enough that they just caved. The basic premise you cant dispute: You cannot treat a corporation like a person. You and me are subject to the death penalty; you can't send a corporation to hell. Corporatehood should go back to being a priveleage, not an unalienable right. Humans have rights, not conglomerations. Also, when it comes to political financing corporations should have no right to contribute. One reason is that so many of our corporations are not our corporations, they are multi-national organizations that pay or hide taxes in other countries. They are not beholden to us. Only private US citizens should be allowed to contribute. Do you really want a global corporation propping up candidates that favor them? CU only passed after they beat on the courts long enought and hard enough that they just caved. The basic premise you cant dispute: You cannot treat a corporation like a person. You and me are subject to the death penalty; you can't send a corporation to hell. Corporate-hood should go back to being a privilege, not an unalienable right. Humans have rights, not conglomerations. I agree that some of the criticism of Citizens United is grounded in views that aren't themselves informed of the details of the case. That being said, I'll state my own opposition to the ruling, an opposition grounded in my view that corporate speech is a contradiction in terms. This follows from my admittedly narrow view of speech, in that I believe there is a category distinction between the speech acts made by an individual (which the individual can be said to be fully invested in and fully accountable to that speech act) and between speech acts made by collective or corporate entities. These latter speech acts are supported financially by the individual constituents of the collective or corporate entity, but this does not entail that these constituents are fully invested in or accountable to any particular speech act that the entity makes. This category difference between speech made be an individual, and speech made by a group acting in collective or corporate fashion -- which amounts, in my analysis, to an ontological difference demanding, really, even a different term -- in my view lays a foundation for the limits set in the BCRA. And why shouldn't it? We (alright, I) want democracy, not plutocracy -- in which the interests of individuals are accounted for in representative fashion, and not according to their cash reserves. Through such arguments, I find myself agreeing incidentally with the slogans of "end corporate personhood" and "money is not speech", albeit through rather different philosophical reasoning. Zachary, you raise a good point. Let me clarify. Citizens United did not allow entities to perform unrestricted direct lobbying. It allows groups to speak directly to the public through broadcasts, which is exactly what we saw with the anti-SOPA calls for actions large corporations conducted this week. "First, while the court threw out decades-old constraints on corporations and unions today in Citizens United v. Federal Election Commission, it preserved disclosure requirements that at least force those expenditures into the public eye. "Second, the court's dramatic reversal does not threaten the existing ban on direct corporate and union campaign contributions. So while those players may now lavish money from their treasuries on independent campaign expenditures, they still may not donate directly to candidates." Mr. Hawkins, I see you are standing by the idea that since the government creates corporations, they create them in any form the government wants with any restrictions. That would be true in a direct democracy or dictatorship, but as we're a constitutional republic, we have restrictions on what rules the government can make. The government can not simply confiscate corporate property and sell it. The government can force businesses to use nutrition labels. We really should stop this trampling of rights. I'm not sure why you want to change the subject to that. I don't believe people should lose their rights because they organized in a group. What's absent from this debate is question if the rich are allowed to run ads by themselves. There is no calls to restrict that. What this would do is limit groups of less-wealthy people to organize and share their views. I didn't change the subject in the least. You seem to believe the government can't regulate corporations in certain ways, yet I don't see you going on about this trampling of rights via nutrition label regulation. It's an inconsistency on your part. It's not an inconsistency for me to fail to mention an obscure, unrelated position I hold. If consumers want those labels, they can simply demand them. If the businesses or restaurants don't wish to provide them, they can go elsewhere. Thus, we have a plausible mechanism that will allow the public to get that information without having to make yet another law. Therefor, I oppose mandatory nutrition labels. As a bonus to my ideology-based view, it doesn't hurt that nutrional labels are only enforced on low-status restaurants and not high-status restaurants. It's also well understood that these labels fail to change consumer behavior towards healthier choices. He has simply lost the plot. Yes, liberal Michael, the government can force companies to include information about their products, on those products. Similar to how the government may still require disclosure as to who is doing the political spending, but may not limit it. "I don't believe people should lose their rights because they organized in a group." Neither do I. But, I'm finding a philosophical incompatability between the exercise of those rights within a group context. Which is to say, the kinds of actions groups can undertake are categorically different from the kinds of actions individuals, exercising their rights, can perform. I see -- and did not originally misunderstand -- that the decision in Citizens United did not forge a path for unrestricted lobbying. What I'm characterizing as "plutocratic" is precisely the privilege which that decision upheld: that of "groups to speak directly to the public through broadcasts". If a group of people act in a collaborative fashion, I'm arguing -- whether that action is produce speech, or to purchase the means to broadcast that speech -- they are not doing the same *kind of thing* that an individual does without such collaboration or collusion. It is a fair point, to observe that "What this would do is limit groups of less-wealthy people to organize and share their views." Really, though, the anti-egalitarian problem is that what this decision allows for is the coming together of groups of MORE-wealthy people to share their views and leverage their capital to inordinately influence public discourse. How a government (a society) is to legislate against the use of capital as a proxy for speech, I cannot say. I will observe that the anti-SOPA actions were coordinated, vastly, who did NOT spend money in support of this action. It wasn't a media buy that bought the win, but the cooperative action of many millions of Internet users. Do the practices of the anti-SOPA campaign disenfranchise non-users of the 'Net, in a way which is as anti-egalitarian as the practices of entities operating through the allowance of Citizens United? I couldn't say. Important questions to answer, though. It's not for nothing that many authors of speculative fiction have come up with the idea of a fully participatory citizen quorum, through web-connected devices. One citizen, one vote, on all issues they care to participate in. They call it fantasy for a reason, I suppose. I agree with Nate that an almost screamingly obvious step would be to repair the disclosure requirements. There is a fine line between spending money to, run an ad for example, and using the leverage previous spending has provided, regardless whether or not it was the original intent. As far as things that cost a corporation money, shutting down their website or something similar such as using space that could have been used for money making advertisements, there is practically no difference at all. Any difference is a spurious one at best. Another thing I question is how different direct spending for a candidate is from spending on a certain issue. Churches and other non-profits are a good example. They can't usually financially support candidates, but they can do what they like on individual issues. I find it hard to discern any practical way that advocating for lower taxes is different from endorsing a candidate who is running on a policy of lower taxes. Nate: I would actually oppose the lobbying efforts of any non-individual, be it a church or a corporation, addressing a policy issue or a candidate's election. I agree that a hard-line distinction can't be made; that is why I'd call into question the legitimacy of all kinds of collective or corporate speech acts as constitutional (or, more conservatively, as favoring increased equality). I do disagree, though, with your characterization of the anti-SOPA/PIPA campaign as one defined by corporate acts. The great majority of ways I heard about it, was through private communications initiated by individuals; and it is this method of advocating for change -- an aggregate of speech acts, mediated THROUGH corporate channels perhaps, but each requiring an individual's volitional action, which I would advance as a more evolved form of political participation. These *is* a bright-line distinction between individuals-acting-collectively (as mediated through a hierarchical structure, like a publicly-traded company, a trade union, a church committee, or a non-profit like the Nature Conservancy), and individuals-acting-coactively (as through a web campaign in which each individual must click on the button to send a message to Congress). In the former, there is a flattening or binning effect of volition, and therefore of the agency of the speech act; in the latter, volition and agency are preserved. So you would get rid of groups such as the ACLU? NRA? PETA? so on? You'll find a large portion of non-profit corporations are devoted to issue advocacy. I think its a great thing we have a system that permits that. I would not get rid of groups such as the ACLU, etc; I would, however, make a separation between advocacy which takes place in the culture, and advocacy which takes the form of lobbying. The former allows for individuals, persuaded by a message, to lobby their representatives. The latter, which is presently considered a protected right under the First Amendment, should be restricted, since it is not (as I'm arguing) it is not a speech act but rather a co-optive action by the leaders of organizations which has the effect of flattening or limiting the volitional speech of constituent members. There already is a caste system. It's called being born poor. That isn't a caste system. You are making different classes of organizations and saying members of one class retain their free speech rights, while the second group loses them. "You are making different classes of organizations and saying members of one class retain their free speech rights, while the second group loses them." I'd seek to limit the political speech of collective entities, as against the unlimited political speech of individual persons. This is not a class distinction between groups of different kinds, but a category distinction between "persons" (whose rights are Constitutionally protected) and "non-personal collective bodies" (who do not possess such rights, I'd argue). "I would not get rid of groups such as the ACLU, etc; I would, however, make a separation between advocacy which takes place in the culture, and advocacy which takes the form of lobbying." And when you limit the political speech of collective entities, you absolutely are creating a caste system.